Reader Question – Who was the vampire that was winning against Barrons in a “best-alpha” contest? Another new “twist” on a reader question!! Rene saw this vampire mentioned on another blog (a contest and THIS vampire was winning against some of our favorites!!!) and now she’s trying to remember who he is, so she can read it. I was trying to remember a book it’s vampires and a book blog was having an alpha contest and this vampire was winning against Barron’s can’t remember who but if he was winning over Barrons I would love to read those books can you please help a girl out. Does anyone know who this vampire is ??? Now I, too, MUST KNOW!!! 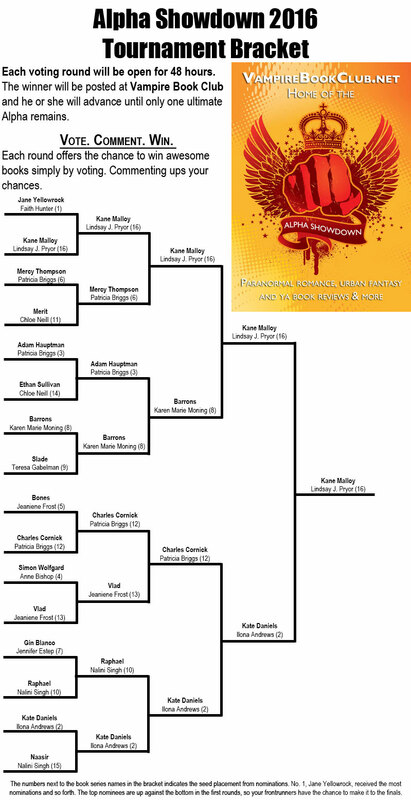 Anyone know who the “alpha vampire” winner was? Kerrie: Is this the contest you were referring to? Maryse: Oh thank you Kerrie! Let me add that in for Rene to check out. Kimberly: Was it Kane Malloy? Tessa: Kane Malloy from Blood Shadows series was the last one up against him. Kane wone the whole thing. Maryse: Whoa Tessa… I think you’re right. And I think I need to read this ASAP! Kelly: Yes, is was Kane Malloy from the Blackthorn series by Lindsay J Prior. Awesome series. Blood Shadows is first book. Maryse: YAY!!! Another one answered and now a whole bunch of us will be reading along with you, Rene. This. Sounds. AWESOME!!!!! Is this the.contest you were referring to? Kane Malloy from Blood Shadows series was the last one up against him. Kane wone the whole thing. Maybe Ryder from Fae Chronicles?